Persistent Fancy, the new recording by saxophonist/composer Kyle Nasser, is out TODAY (October 5, 2018) on Ropeadope. The album draws inspiration from literature, philosophy, and personal struggle, blending the cerebral and sensual to create intoxicating jazz. All About Jazz praised Nasser, a New Bedford native and a graduate of Harvard College and Berklee College of Music, for his “ardent creativity” and “urban artistic composure,” and The Boston Globe noted his “fluid, warm-toned tenor.” Those qualities are in evidence on the new CD, which also features guitarist Jeff Miles, alto saxophonist Roman Filiú, keyboardist Dov Manski, bassist Nick Jost, and drummer Allan Mednard. A press release, download and video links, and photos are below. “’Tis no sin for a man to labour in his vocation.” The words of Sir John Falstaff, Shakespeare’s great tragicomic rogue, grace the inside cover of Persistent Fancy, the latest release by saxophonist/composer Kyle Nasser. Granted, Nasser’s passionate pursuit of jazz is more easily defensible than Falstaff’s chosen profession of purse-snatching, but The Bard’s use of eloquent language in the mouth of such an incorrigible, gluttonous rascal has a strong appeal for the saxophonist, who strikes his own musical balance between the cerebral and the sensual. Persistent Fancy, due out October 5, 2018 via Ropeadope, is highlighted by a pair of three-part suites that straddle that boundary: the “Baroque Suite,” inspired in particular by Shostakovich’s Preludes and Fugues, foregrounds the elegance of classical composition, while the “Eros Suite” dwells on the carnal, tracing the stages of desire from initial attraction through consummation to reflection. As with all of Nasser’s music, however, the intellectual and the emotional coexist vividly in both, epitomizing the same mix of impulses that makes Shakespearean characters like Prince Hal so compellingly complex. In assembling the ensemble to breathe life into the music of Persistent Fancy, Nasser surrounded himself with stellar musicians who can deftly navigate the blend of intricacy and fire that these compositions require. Guitarist Jeff Miles and keyboardist Dov Manski return from Restive Soul; drummer Allan Mednard has worked with the likes of Kurt Rosenwinkel and Melissa Aldana, bassist Nick Jost swerves between acoustic jazz virtuosity and powerhouse electric playing with heavy metal band Baroness, and Cuban-born alto saxophonist Roman Filiú is an innovative voice who has performed with Henry Threadgill, David Murray, and Chucho Valdés. Much as Shakespeare’s young prince changed paths to follow his life’s true calling, Nasser switched gears at a key moment in his own life – albeit somewhat less dramatically. Where Hal left behind a misspent youth to rule a kingdom, Nasser changed his focus from Economics and Political Philosophy, which he studied at Harvard, to pursue his love of jazz after crossing paths with iconic pianist Hank Jones. He went on to Berklee College of Music and hasn’t looked back since, though he’s never wholly turned his back on his intellectual and literary interests. Persistent Fancy, in fact, takes its title from an idea posited by the poet and philosopher Samuel Taylor Coleridge (best known for “The Rime of the Ancient Mariner”), who contrasted the invention of new concepts (imagination) versus the assembling of pre-existing thoughts or notions (fancy). Nasser comes down on the side of 20th century critic T.E. Hulme, who countered that modern art should thrive on fancy as it relates to familiar experience rather than high-flown fantasies. “I was thinking about the way that thoughts tend to recur over and over again,” Nasser says. “Even if they’re not the deepest thoughts in the world, they can be insistent and keep coming back so that you can’t shake them. That’s not imagination, it’s not earth-shattering, it’s fancy – persistent fancy.” The title track is built on that sort of insistent recurrence, with recurring melodic lines over a cyclical ostinato. Playing from the gut is one way of praising impassioned musicality, but it became a very literal struggle for Nasser during the writing of this album. Persistent pain prevented him from playing for a time, until a physical therapist finally discovered that scar tissue in his abdomen was the cause; it was during Nasser’s recovery that several of the pieces on Peristent Fancy were composed, including the opening piece, “Split Gut,” which celebrates the recovery of his voice in dialogue with Roman Filiú’s alto. The surging “Arrival” was initially written for a trio gig in Chile, where Nasser was collaborating with his bandmate in the collective quartet Beekman, Chilean drummer Rodrigo Recabarren. Miles is given free rein to shred over the bombastic grooves of Jost and Mednard on “Sticky Hipster,” named in homage to the rock-inclined denizens of Nasser’s Brooklyn neighborhood. Despite following the “Eros Suite,” Nasser’s “3-Way” takes its title from a radio term, not a sexual innuendo. On the air it refers to a conversation between three people, reflecting the tripartite melodic voices of the composition. The album’s sole non-original tune is “Arioso,” an excerpt from German composer Paul Hindemith’s “Ludus Tonalis.” Finally, the ebullient “Coffee and Cannabis” ends the album on a joyful note, finally giving in to those minor vices that may not provide a vocation but can make life that much more enjoyable. 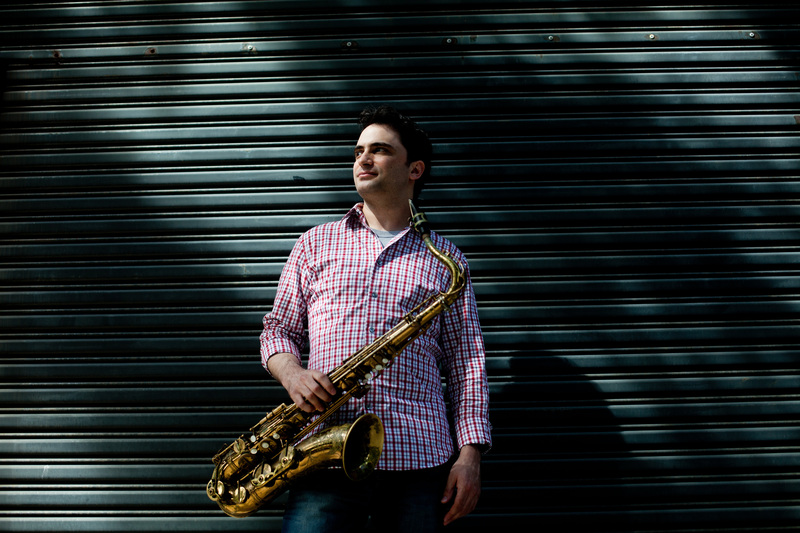 A Massachusetts native and graduate of both Harvard and Berklee, Kyle Nasser has been described as possessing “superlative musicianship as a performer, writer and a bandleader…ardent creativity and urbane artistic composure” (All About Jazz). Since moving to New York City in 2010, he has played at some of the city’s most prestigious venues – including the Blue Note, Smalls, Iridium, 55 Bar, and Cornelia St. Cafe – and has toured the U.S. and South America. Nasser has shared the stage with jazz luminaries such as Jim Hall, Hank Jones, Joe Lovano, Dave Douglas, Rich Perry, Ethan Iverson, Michael Formanek, and Ben Monder, among others. In addition to leading his own group, he also plays with and composes for the international collective Beekman, whose sound has been described as “a joyful and continued speculation flowing in almost all facts with surprising ease” (Jazz, ese ruido). Nasser’s 2015 debut, Restive Soul, features his quintet presenting “a collection of sophisticated and complex modern jazz originals” (Jazz Weekly). The album’s songs weave together sonata forms, baroque to 20th century counterpoint, and modern rhythms with modern jazz vocabulary. “The saxophonist’s debut is knotty with a contrapuntal weave of voices, bumpy mixed meters, and alternating rhythmic currents that nonetheless groove, sometime with a rocking edge” (Boston Globe).